How Calgary uses — and misuses — Indigenous names. If you value independent Calgary journalism, please sign up as a monthly supporter of The Sprawl on Patreon. We're crowdfunded, ad-free and made in Calgary. Join the 550+ Calgarians who support The Sprawl! It’s unlikely that Calgary will officially change its name, as Mayor Naheed Nenshi admitted at the time. But there’s no reason why one place can’t have multiple names. Indeed, as the Stoney and Piikani letters show, most places already do have more than one name—some older than others—even if we don’t acknowledge them all. The conversation raises larger questions: What’s in a name? Who gets to name things? Does it matter if we use English or Blackfoot or Tsuut’ina or Nakoda? What do our choices in public names say about us? Calgary is a young city, founded as a police station in what had long been Blackfoot territory two years before Treaty 7 was signed. Its relationships with its Indigenous neighbours are long and complicated, rich with stories, painful and contentious. Today, however, the most visible acknowledgement of that shared history isn’t found on plaques or monuments. The precise origins of Calgary’s affinity for naming major roads with Indigenous names and words is difficult to trace. Many of Calgary’s arterial roads were built during the ’60s and ’70s, and many were given First Nations names. Since 1976, the city has had official policies recommending that freeways or skeletal roads be named for Indigenous groups or people, but the convention was already well established by then. Shaganappi Trail is named for the Shaganappi Point area downstream and across the river from its southern terminus, which has had that name since the 1870s. Shaganappi is a Cree word referring to cords made from rawhide, which settlers used on their wagons. The Tsuut'ina migrated south to their present location in Blackfoot Territory a few hundred years ago—hence the potential for derisive names from their rivals. In 1993, the nation changed its name from Sarcee to Tsuu T’ina and later Tsuut’ina, but the road name has stuck. 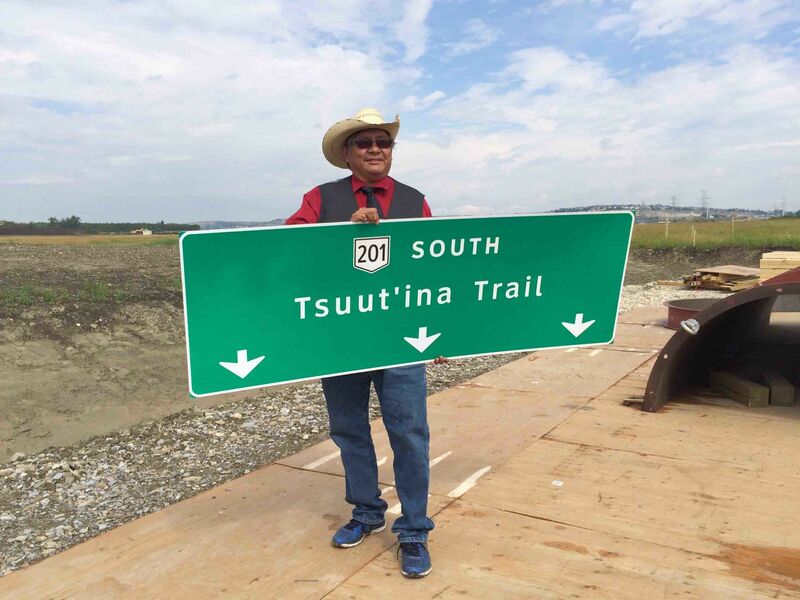 With the southwest portion of the ring road that runs through their territory set to be named Tsuut’ina Trail, that nation will have two namesake roads in Calgary. Tsuut’ina Chief Lee Crowchild sees Sarcee Trail as a fight for another day. “We’re not pressuring that too much right now, but in time, probably we will,” Crowchild said. There is at least one instance of a name arising organically. Blackfoot Trail was the literal trail followed by the Blackfoot people for trading, though the former trail and current road don’t exactly align. Bridge construction plans drawn up in 1916 name the road as Blackfoot Trail. Likewise, Littlelight says the southern leg of Sarcee Trail may have traditionally been the route taken by the Tsuut’ina into Calgary. Crowchild Trail and Shaganappi Trail, as seen on a city map from 1977. Morley Trail is upper left, too. Crowchild Trail and its Bow River bridge, meanwhile, were named in 1966 for former Tsuut’ina Chief David Crowchild, who had worked to build understanding between Indigenous and non-Indigenous cultures. 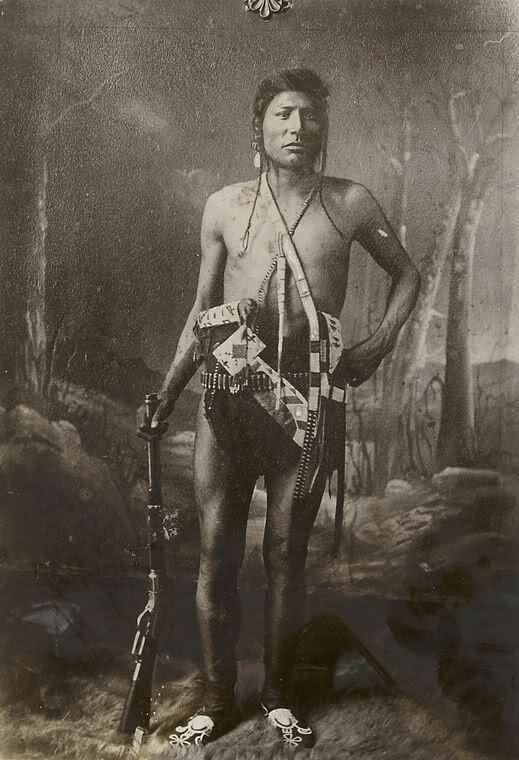 According to Crowchild’s grandson, current Chief Lee Crowchild, the route had actually been known as “Crowchild’s trail” much earlier, as it was the path his great-grandfather would follow when returning home after Catholic service in Calgary. Regardless, David Crowchild gave his blessing to the road name after city officials asked his permission. But they didn’t offer that courtesy to the descendants of Deerfoot—a renowned Siksika runner who competed in wagered races—before affixing his name posthumously to a freeway in 1974. “They didn’t even approach my family,” said Treffrey Deerfoot, great-great-grandson of the runner. He reached out to the city in the early 1990s to find a way of rectifying the situation. The road was re-dedicated in a 1993 ceremony where Mayor Al Duerr smoked a pipe with Treffrey Deerfoot and others. According to Deerfoot, as part of that reconciliation the city pledged to erect some sort of signage explaining the name and honouring Deerfoot, but never did. “It’s another broken treaty, another broken promise,” he said. Given the fraught history between Indigenous peoples and settler communities—especially when it comes to acting unilaterally, or taking without asking—the question of consultation and basic respect is an important one, and certainly not new. “You can’t just take a name,” Siksika Chief Strater Crowfoot told the Herald in 1993. He was unhappy with the northwest development of strip malls and roadways known as Crowfoot. Crowchild notes that businesses and organizations have taken his family name without asking—though the Crowchild Hockey Association reached out to him recently, and he is working with them to design a more appropriate logo. Some of Calgary's road names are no longer applicable, like Sarcee Trail, or Peigan Trail, which uses the old word for the Piikani nation. Indigenous cultures place high value on connection to the land and respect for the living Earth. Yet, with no sense of irony, settlers thought the best way to celebrate these cultures would be to give their names to paved, polluting conduits that ferry automobiles across a sprawling suburban landscape. It’s true that giving these names to major roads has ensured their widespread daily usage, and there’s no other city in the world with a street named Shaganappi. But history shows us that we need to be more mindful—not only in what names we apply and to which things, but also in ensuring the process is respectful and collaborative. This is especially true for Indigenous names and cultures as modern Calgary reckons with the idea of reconciliation. History shows us that we need to be more mindful. One recent example shows how fraught the issue remains today. In March 2016, city council narrowly rejected a recommendation from the Calgary Planning Commission (CPC) that a new mixed-use development be named with the Blackfoot term for the area: Aiss ka pooma. This name was suggested instead of the English translation: Medicine Hill. 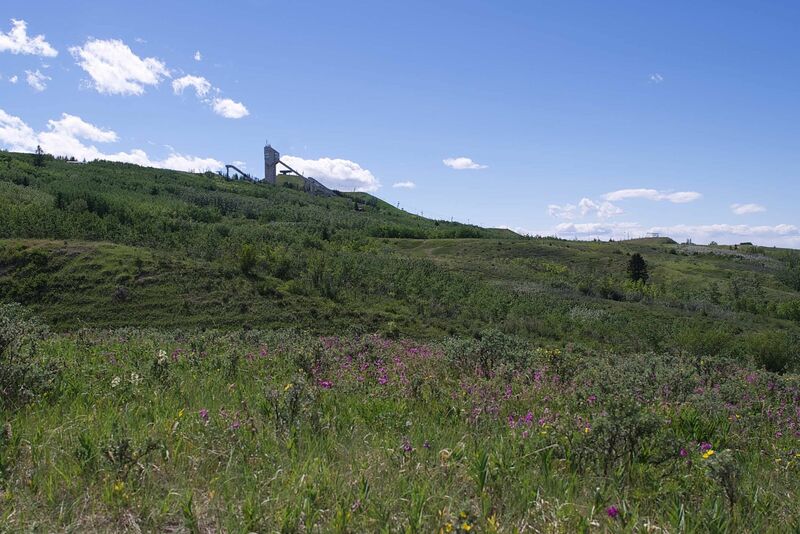 Calgarians may be more familiar with Paskapoo slopes, the corrupted version of the Blackfoot term. The developer behind the project, Trinity Development Group, had proposed the English name after consultation with Blackfoot elders, and this was city administration’s recommendation. However, CPC — an appointed body comprised of councillors, administration officials and ordinary citizens — recommended the Blackfoot name in a 7-2 vote, which is how it wound up before council. Coun. Ward Sutherland, who is Métis, was one of the most outspoken among those who won an 8-7 council vote to scrap the Blackfoot name in favour of the English approximation. Sutherland believed Aiss ka pooma hard to pronounce (ess-ka-booma) and said people wouldn’t be able to spell it well enough for a Google search. Nenshi, who voted against the motion to scrap the name, pushed back on these assertions during council. The mayor noted that many Calgary street names like Richard Road are regularly mispronounced (it’s French, as in ree-SHARD). “For us to now say, it’s okay if the Scottish or English names are mispronounced, but we can’t possibly have a First Nations name mispronounced—it’s very problematic for me,” he said. Some councillors expressed confusion about whether the elders had been accepting of the Medicine Hill name during the earlier consultations. But council twice voted down motions to pause and seek clarification from the elders directly. 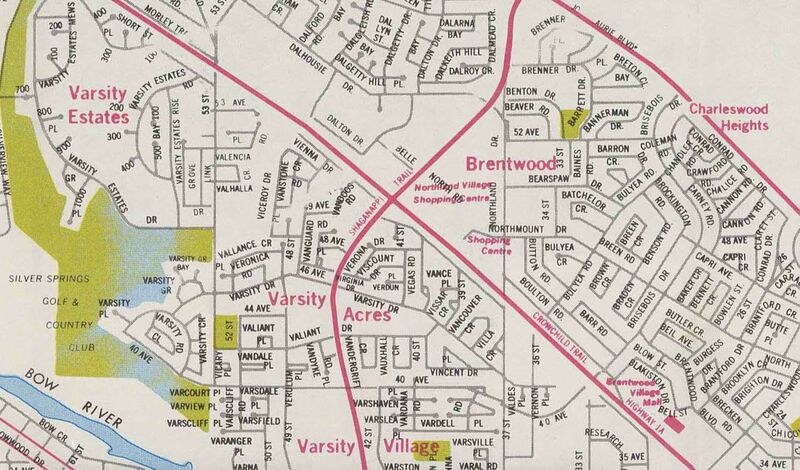 Paradoxically, at the same council meeting, Blackfoot names for four streets in the area were approved: Saatoohtsi, Na’a, Piita and Natooyii (west, mother earth, eagle and sacred), the first Blackfoot-language street names in the city. “I think it’s a great step,” says Deerfoot of the street names and bilingual signs, contrasting it to how his family name was simply appropriated. Most Calgarians are unfamiliar with Indigenous languages like Blackfoot. It’s also fair to say that it would be challenging for some Calgarians to learn how to pronounce and spell Aiss ka pooma or Saatoohtsi (pronounced sa-toosh). But the fact that there’s a learning curve does not mean it’s an unreasonable burden, or that there isn’t value in the exercise. As Canada and Canadians seek to reconcile with Indigenous peoples in a nation-to-nation context, demonstrating a willingness to put in a modest degree of effort to learn about neighbouring cultures can go a long way. But our northern neighbours are having the same debate we are, including a councillor arguing against the difficulty of Indigenous names. Paula Simons, the senator and former Edmonton Journal columnist, noted that Edmonton has readily adapted to many non-English names, from politicians named Lukaszuk to hockey stars named Draisaitl. Moreover, the effort required is indeed valuable in itself. 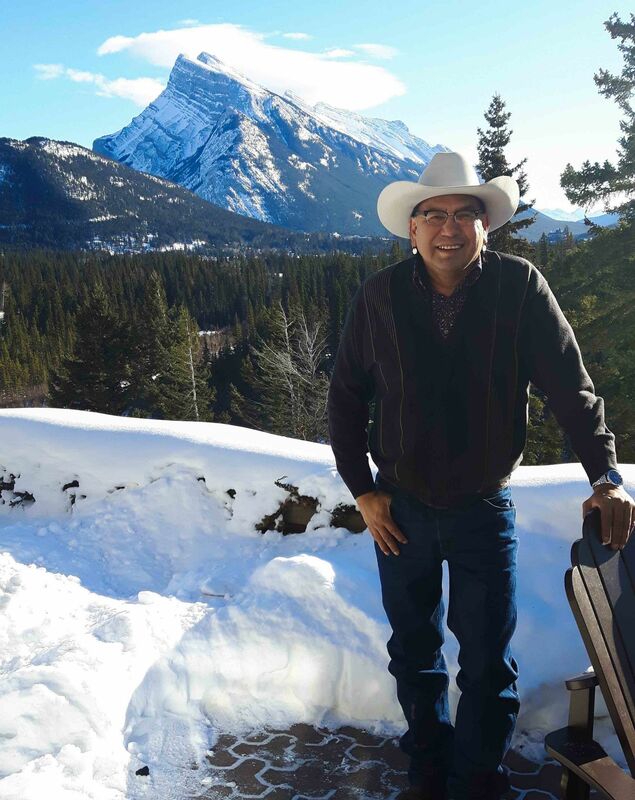 Chief Crowchild prefers to focus on his grandfather’s approach of building cultural bridges, though he acknowledges it’s not easy. Given these conflicts over roads and development, it’s hard to imagine the city changing its name, as the Stoneys and Piikani requested. But what if we did? What if Calgary was still Calgary, but also Mohkinstsis (Blackfoot), and Wichispa Oyade (Nakoda), and Guts’ists’i (Tsuut’ina)—officially? What if those words were used on signage alongside “Calgary,” or promoted through city marketing? What if, instead of drivers encountering signs proclaiming “Be Part of the Energy” upon entering the city, they were welcomed with the names for this place that have survived hundreds and thousands of years? Some might say such things don’t matter. But names do matter. They contain stories within them, reflecting something about us and our values. “In any culture, names are very important,” said Treffrey Deerfoot.